Could Emotions Be Modelled through Information Processing? One way to evaluate cognitive processes in living or nonliving systems is by using the notion of “information processing”. Emotions as cognitive processes orient human beings to recognize, express and display themselves or their wellbeing through dynamical and adaptive form of information processing. In addition, humans behave or act emotionally in an embodied environment. The brain embeds symbols, meaning and purposes for emotions as well. So any model of natural or autonomous emotional agents/systems needs to consider the embodied features of emotions that are processed in an informational channel of the brain or a processing system. 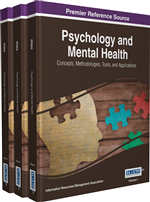 This analytical and explanatory study described in this chapter uses the pragmatic notion of information to develop a theoretical model for emotions that attempts to synthesize some essential aspects of human emotional processing. The model holds context-sensitive and purpose-based features of emotional pattering in the brain. The role of memory is discussed and an idea of control parameters that have roles in processing environmental variables in emotional patterning is introduced. Debates about the nature of mental states continue, it is necessary to choose a theory (or theories) regarding the nature of mental states in terms of the ontology and epistemology of emotions. Emotional states, however, have no precise and undisputed definition, neither of basic emotions (such as sadness) nor of more complicated emotions (such as embarrassment). In practice, emotions are mostly clarified by their characteristics, so “states of mind” or “mental states” are considered something like desire, fear, sadness, embarrassment, jealousy, pride, calm, and pain. Modifying the cognitive processing of emotions provides an additional way to depict the senses of emotions and emotional rationality rather than the classic computational approach (Li, Ashkanasy, & Ahlstrom, 2013). A computational approach sees emotions as functions, but the cognitive view opens a broad research window for dynamic modeling and artificial architecturing of emotions (Camurri & Coglio, 1998; Lungu, 2013). By explaining the modality of emotional processes in brain, neuroscientists, cognitive scientists and philosophers have an opportunity to improve their understanding of the relational functions of emotions, social activities and the related brain areas(Ghashghaei, Hilgetag, & Barbas, 2007; Strand, Oram, & Hammar, 2013). Additionally, knowing the mechanism (s) of emotions can provide model (s) to understand or manage emotions, particularly those of emotional systems which can be adapted by various task domains. Besides, we can, cognitively and clinically, deal well with emotional disorders such as phobias and schizophrenia (Strand et al., 2013). One of the hypotheses to evaluate the cognitive processes in living or nonliving systems is based on the notion of “information processing” even though many reject the relation between information processing and cognition(Edelman, 1992; Freeman, 2000; Globus, 1992; Perkel, 1993; Port & Van Gelder, 1995; Spivey, 2007; Wallace, 2007). We know that information is a tool (Thellefsen, Thellefsen, & Sørensen, 2013) and not a measuring process. Information is an objective entity because it is handled by information systems and relates to work tasks, or to domains. Informational approach to describe things (e.g. a picture, an organization or emotions) will solve disproportion of debates on the physical or cognitive inquires of things. To elaborate this idea, this paper will explore the nature of emotions and types of information processing. Then an information-driven theory of emotional processing targeting artificial systems or agents is presented. Additionally, the paper presents and discusses the dominant theories of emotions in Section 2. Concepts of information processing (section 3) discuss three types of notions on information processing. Section 4 studies the emotional processing mechanism in humans and attempts to define an emotional-driven approach for artificial systems built upon the pragmatic notion of information processing.